Wednesday, today is Novena day at St.Michael’s Church, Mahim but the church has been particularly crowded this week on others days too. 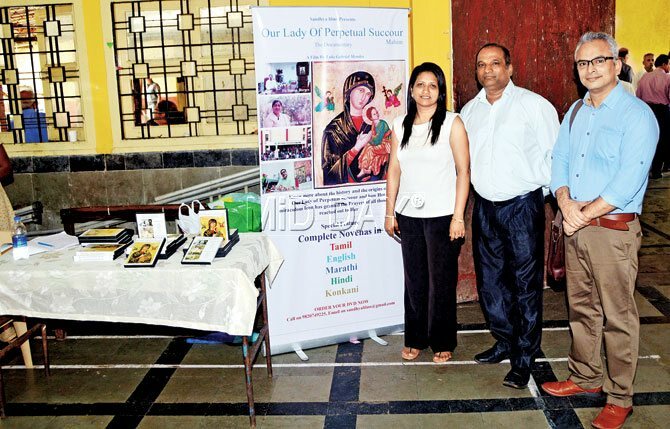 It is here that thousands flock to observe the feast of Our Lady of Perpetual Succor (OLPS). Recently. 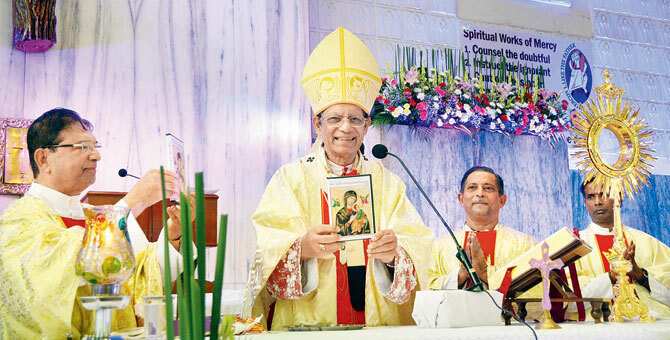 Cardinal Oswald Gracias, the Archbishop of Bombay celebrated the Eucharist and after that released a DVD based on the faith of the thousands who come for prayers to Mahim church. 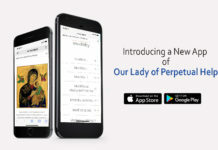 Produced by Mumbai’s Andrea Lavy Pinto, two films – ‘Our Lady of Perpetual Succor’ and ‘Our Lady of Perpetual Help: An icon of love’ deal with Mumbai’s devotion and history as well as the nation-wide belief in the miraculous power of the image, respectively. “I had made a film on Mount Mary’s Bandra called ‘Mount of Faith’ and while promoting that I met the Redemptorists who expressed their desire to make this film. 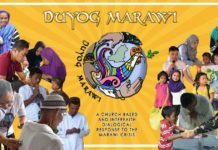 Since October 2014, I have been researching and working on this project. 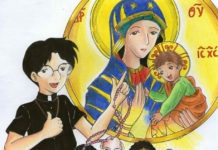 The Redemptorists, a religious congregation were 150 years ago given this image of Our Lady of Perpetual Succor and asked to propagate its devotion around the world. To commemorate that the film was made,” said Lavy, a captain in the merchant navy.